Our building was originally Central Manitoulin High School until the fall of 1969 when Manitoulin Secondary School opened its doors and the intermediate students from Mindemoya Public School moved in. The school was renamed Central Manitoulin Public School under the leadership of Principal Doug Lanktree. Years later, all grades moved to this building and Mindemoya Public School was closed. Since becoming Central Manitoulin Public School, the school has undergone some expansion. A gymnasium, library, offices and classrooms were added. The principals who have been here since Doug Lanktree are Fern Patterson, Everett Eadie and Lynne Kulha. 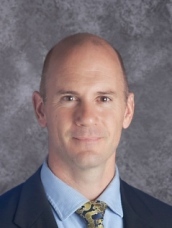 Tracey Chapman is the current principal. Central Manitoulin Public School is located on Yonge Street in Mindemoya. In addition to students from the community, the school draws children from the surrounding areas of Providence Bay, Tehkummah, South Baymouth, Spring Bay, Sheguiandah, and M’Chigeeng. 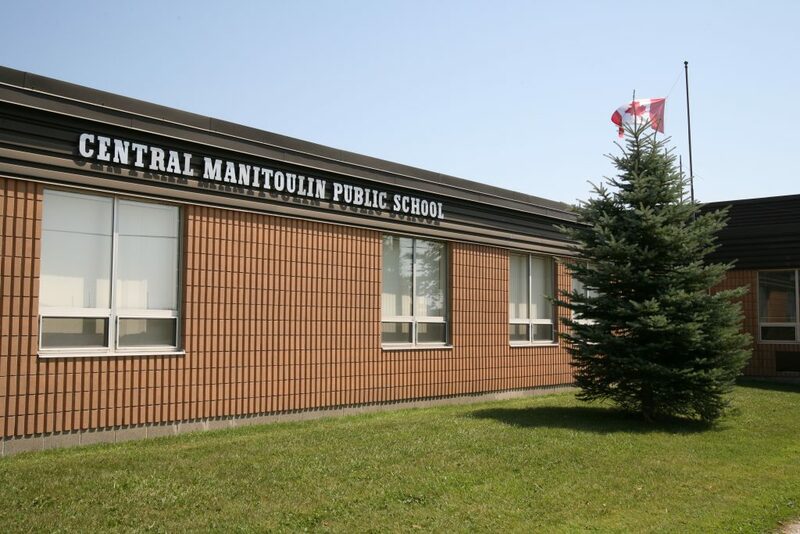 Central Manitoulin Public School offers classes from Junior Kindergarten to Grade 8. Our present enrolment is 190 students. We have 12.5 full time teachers, 3 educational assistants, 1 secretary, 2 custodians and 1 principal. Currently, we have an Intensive Support Classroom (ISP) which serves children in our catchment area, as well as that of other surrounding areas. Central Manitoulin Public School is a spirited community school where students come first. We are extremely proud of our students as they participate in all aspects of school life. Fall Fair, Historica Fair, Student Council, athletics, and the arts are just a few examples of how our Eagles have represented our school with distinction. Our school has enjoyed many achievements and positive experiences. When our students travel outside our school, people say our children are wonderful ambassadors. The Fall Fair held at Central Manitoulin Public School draws the school and school community together. This annual event is widely supported by individuals and businesses from the community. Prize money is donated. In addition, the Open House is well attended by members of the community, young and old. The Fair promotes the agricultural heritage of our area. Held in September, it features guest speakers from a variety of businesses and community organizations. The Fair culminates in a Fall Feast celebration. Central Manitoulin Public School has been recognized as an honorary member of the Ontario Agricultural Association, a proud tribute to the school and the community. Our school enjoys the generous support and assistance of many local groups and organizations who are always willing to help out. The Central Manitoulin Lions Club has donated $15 000 towards our playground improvement project. These funds have enabled us to complete site preparation work and purchase a new play structure and soccer nets for the children. We are most grateful to our Lions Club for their wonderful contribution. Each year, our school participates in a community service activity called “Pitch In”. We clean up the areas within walking distance of our school. In return, the municipality provides free public skating to our students during the winter months. In addition to skating, our students enjoy the privilege of going curling as part of the winter physical education program. We are also very proud to give back to our community through our support of local agencies and charities. We work closely with Constable Al Boyd, our community services officer to address various social issues. Several after school programs take place at our school including the archery club, the Hope Farm, Manitoulin Family Resources, and the Providence Bay Horticultural Society. Central Manitoulin Public School benefits from the assistance of numerous volunteers. Throughout the year, community and parent volunteers assist in classrooms, in the library, on field trips, at assemblies, during concerts and at the Fall Fair, sporting activities and book fairs. Our volunteers also contribute to School Council and share their expertise as guest speakers. To show our appreciation, Central Manitoulin Public School hosts a breakfast for all volunteers at the end of the school year. This annual celebration gives us an opportunity to say thank you for everything they do. Our Council meets regularly and, as an advisory group, provides input to the school administration and the board on matters affecting our school. School Council acts as a liaison between the school and the community. Our School Council holds an appreciation dinner for teachers at the first parent/teacher interview night of the school year. They also organize several student activities and raise funds for school improvements. They play an integral role in the school improvement planning process by providing valuable input and suggestions. This dynamic group is both supportive and eager to make Central Manitoulin Public School the best place possible for staff and students and the community at large. Central Manitoulin Public School is a quality school with quality students, teachers and parents. It is a school committed to providing an environment where we all work together to ensure that our children achieve academic and personal excellence. 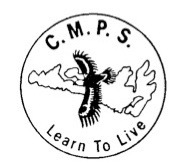 At Central Manitoulin Public School we “learn to live” keeping in mind that learning takes place both inside and outside of the classroom. With parents and our community members as partners in education, we work together to build a positive school climate and authentic, relevant learning experiences so that our children come to appreciate and value education. Looking for child care at Central Manitoulin Public School?